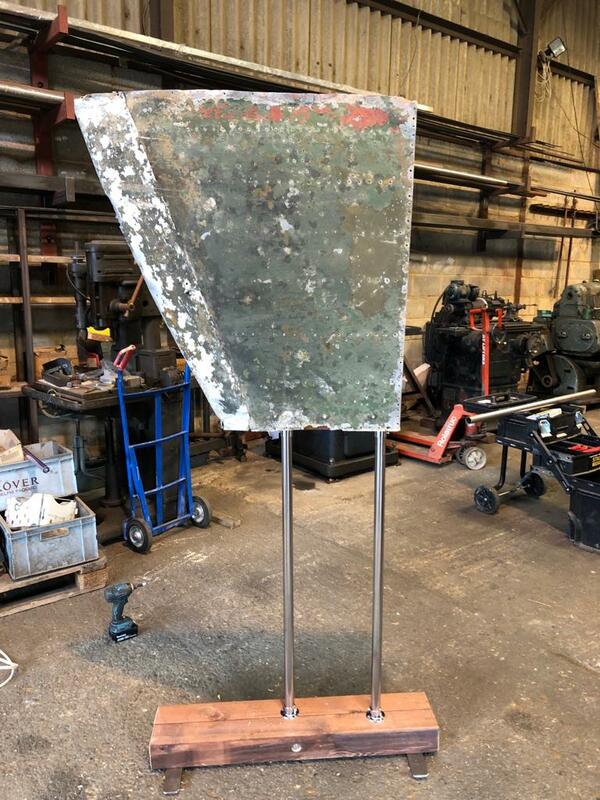 On Friday 26th April renowned street artist, ATM, will be painting a nightingale on the tailplane of a Vickers Wellington Bomber, in Phillips gallery, Berkeley Square. This live art event has been organised for the filming of a new conservation documentary, ‘The Last Song of the Nightingale,’ in conjunction with ATM’s ‘Lost Birds’ project. The event also coincides with the arrival of these iconic migrants, returning to the UK to breed after spending the winter in Africa. Members of the public will be able to visit the Phillips Gallery between 10am - 6pm on Friday 26th April to watch live art in action. The Vickers Wellington Bomber, one of Britain’s prolific aircrafts during World War II, and the nightingale, a bird firmly established in British heritage (ingrained in art and musical identity, and the most versified and celebrated bird in English literature) are intrinsically connected through a BBC broadcast that ran from 1924 to 1942. In the spring of 1924, the first ever live-to-radio broadcast from an outdoor location wasn’t breaking news, a political event, or a disaster - it was a duet between cellist Beatrice Harrison and a singing nightingale recorded in her garden in Foyle Riding, near Oxted, Surrey. The broadcast was a sensation - a million people listened in and the programme was picked up as far afield as Italy, France, Spain and Hungary. It was reported that Harrison received over 50,000 fan letters after the broadcast, and so, the nightingale live-broadcast tradition was maintained as an annual event by the BBC until May 19th, 1942 - the eve of the 18th scheduled broadcast when it was cut dramatically as it was going to air. Just as they had started their broadcast, as well as the singing nightingale, the microphones in Foyle Riding picked up the sounds of 197 Wellington and Lancaster bombers massing over Southern England en route to bomb the German city of Mannheim. A quick-thinking engineer, realising a live broadcast of the bombers could warn Nazi spies of the impending attack, pulled the plug. The broadcast was hastily cancelled, but with lines to the BBC still open, the recording went ahead and both nightingale and the bombers were captured on the acetate disc. The recording is a haunting combination - poignantly juxtaposing peace and war, and nature’s defiance of the affairs of man. It is because of this story that Sunbittern Media, the makers of ‘The Last Song of the Nightingale,’ asked renowned street artist, ATM, to paint a nightingale on the tailplane of a Vickers Wellington Bomber, as part of his ‘Lost Birds’ project. And where better for ATM to create this piece of art than Berkeley Square, where Vera Lynn’s iconic 1940s song ‘A Nightingale Sang in Berkeley Square’, was set. A huge thanks to Phillips for allowing this to take place in their stunning gallery set right on the Square itself. Due to premier in Spring 2020, ‘The Last Song of the Nightingale’ is a Crowdfunded passion project embarked on by a multi-award winning team of young filmmakers, journalists and photographers from the UK, led by Katie Stacey and Luke Massey of Sunbittern Media. Luke Massey is an award wining camera man, wildlife photographer and Leica Sports Optics Ambassador. Leica Sports Optics is an executive producer on the documentary. The documentary tells the story of one of the UK’s most iconic birds - firmly established in British heritage, not only is the nightingale the most versified and celebrated bird in literature, from Homer’s Odyssey to the Romantic poets Coleridge and Keats, it is also a bird firmly ingrained in our art and musical identity. But sadly it is now one of the UK's most endangered songbirds with its numbers having declined 90% since 1970. Using a unique storytelling blend of animation, natural history and documentary style filmmaking, 'The Last Song of the Nightingale' will explore the songbird’s story, from its historical and cultural significance to the plight it faces today. The main objective for the documentary is to use it as a platform for change. The nightingale, and all it represents, is an umbrella species, to draw people in to the program and to help reconnect them with nature. As Sir David Attenborough said, ‘No one will protect what they don't care about; and no one will care about what they have never experienced’. London based ATM has a lifelong love for nature. He has a particular connection to birds, their songs, calls and habitats. He uses his skills as an artist to celebrate the beauty of birds and communicate the extinction crisis - 439 bird species are now in serious decline across the world, including 67 species in Britain. 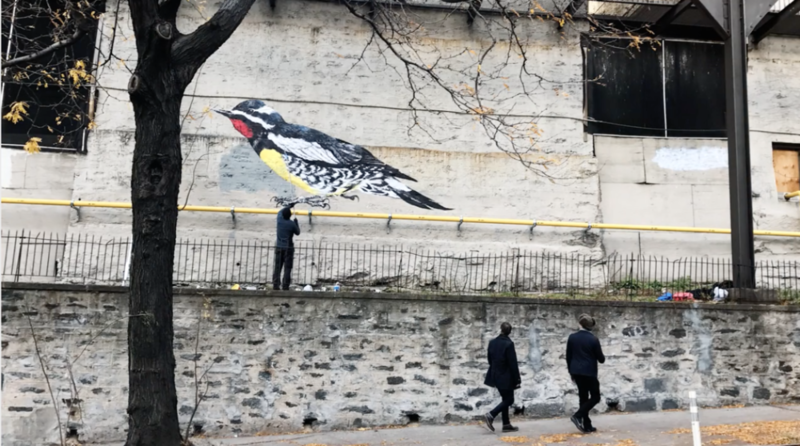 His giant ‘Lost Birds’ murals fill walls across London and New York to Poland and Norway. 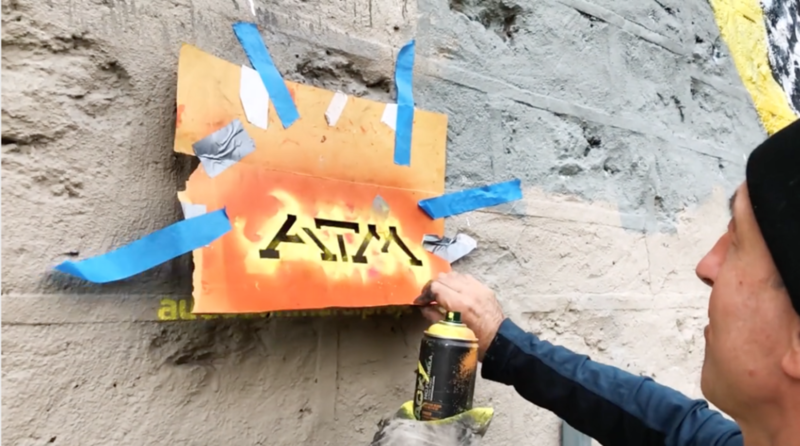 ATM uses his art to inspire people to take part in local regeneration efforts and collaborates with conservation organisations, including the Wildlife Trusts, RSPB, Audubon Society and Friends of the Earth, who all recognise the power of street art in reaching new audiences, believing that small changes repeated on a large scale can have dramatically positive effects. Throughout the day volunteers from the British Trust of Ornithology will be there to talk to passers-by about the nightingale and this project, and to invite them to watch ATM at work. Eyebrook Wild Bird Feeds will also be onsite inviting visitors to create their very own pick’a’mix bird seed, to take home for their garden birds, balcony guests or for the feathered inhabitants of their local parks. The finished art piece will travel as part of a series of outside broadcasts of the finished documentary in 2020. Eventually being auctioned off at the official launch of the film.